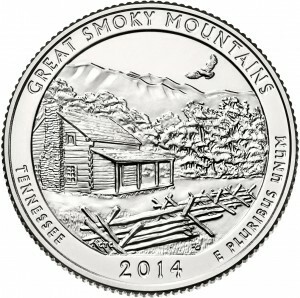 The United States Mint will be debuting several new numismatic products next week each containing 2014 Great Smoky Mountains National Park Quarters. 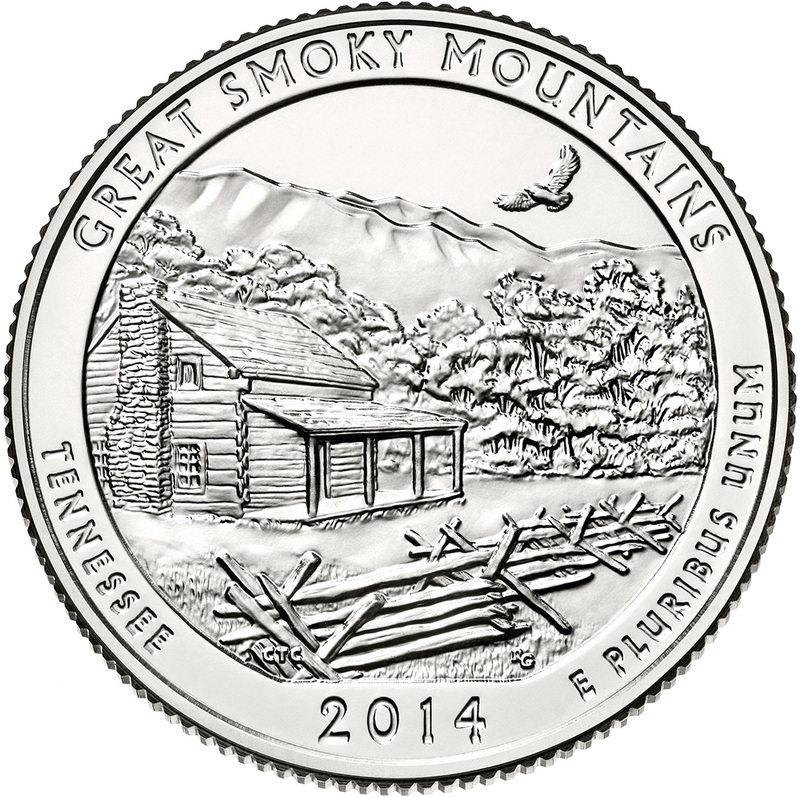 The new items include rolls and bags of the Great Smoky Mountains Quarters which feature reverse designs emblematic of the national park located in the state of Tennessee. All of the newly issued options will become available for ordering beginning at Noon (Eastern) on January 27, 2014. This is the same date the coins are scheduled to be released into circulation through the Federal Reserve Bank system. 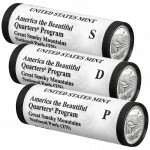 The Great Smoky Mountains Quarter Three-Roll Sets include three-rolls, as the name implies. 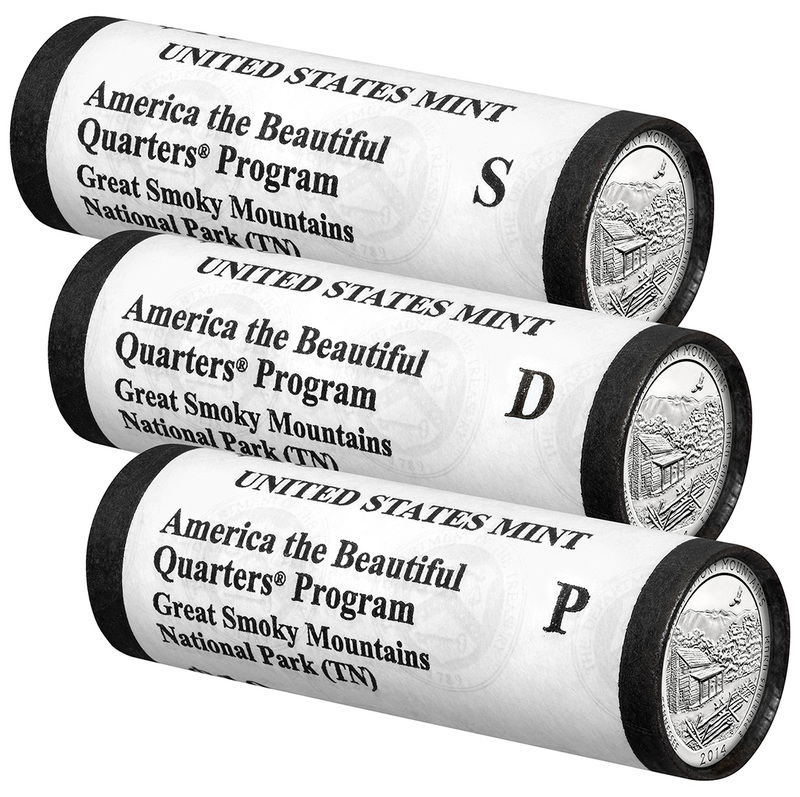 One roll contains circulation quality quarters from the United States Mint facility in Philadelphia, one roll contains coins from the facility in Denver and one roll contains coins from the facility in San Francisco. 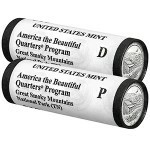 The Great Smoky Mountains Quarter Two-Roll Sets include two of the same rolls issued in the three-roll set mentioned above. The two included rolls are circulation quality strikes from the Philadelphia and Denver Mints. P and D are imprinted on the roll which contains strikes from Philadelphia and Denver, respectively. The Great Smoky Mountains Quarter 'S' Rolls are a one-roll option which just contains quarter dollars struck at the US Mint's facility in San Francisco. These coins are featured in circulation quality. Wrapping on each roll includes an 'S' indicative of San Francisco. 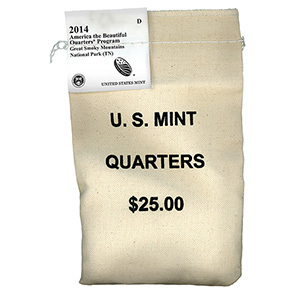 Those looking for larger quantities may want to consider one of the Great Smoky Mountains Quarter 100-Coin Bags. 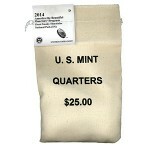 Buyer's have the choice of bags containing 100 quarter dollars from the Philadelphia, Denver of San Francisco Mints. 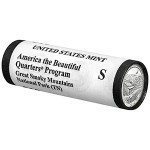 These quarters represent the twenty-first America the Beautiful Quarter to be issued by the US Mint through the program which debuted in 2010. All of the above options will become available at Noon on January 27, 2014. When issued, they may be ordered directly from the United States Mint Orders at http://www.usmint.gov/catalog, and at 1-800-USA-MINT (872-6468). Hearing- and speech-impaired customers with TTY equipment may order at 1-888-321-MINT.